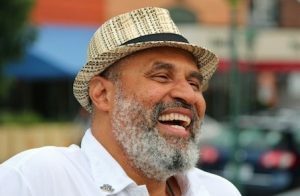 Tim Seibles will present a Thornton Reading in University of Lynchburg’s Sydnor Performance Hall at 7:30 p.m. A reception and book signing will follow. Seibles approaches themes of racial tension, class conflict, and intimacy from several directions at once in poems with plainspoken yet fast-turning language. His 2012 poetry collection Fast Animal won the Tehodore Roethke Memorial Poetry Prize and was nominated for a National Book Award.